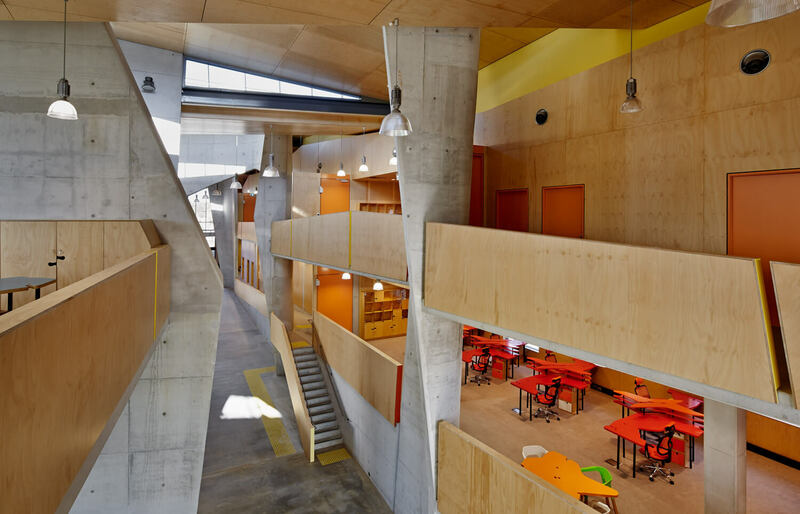 There are thousands of architecture schools around the world, but some universities take pride in the actual building where the design education will take place. Understandably, architecture students value attending schools in which the building is original and beautiful. Considering students will be learning about how to design unique structures, it makes sense that the very building where this learning will occur is unique and visually pleasing. 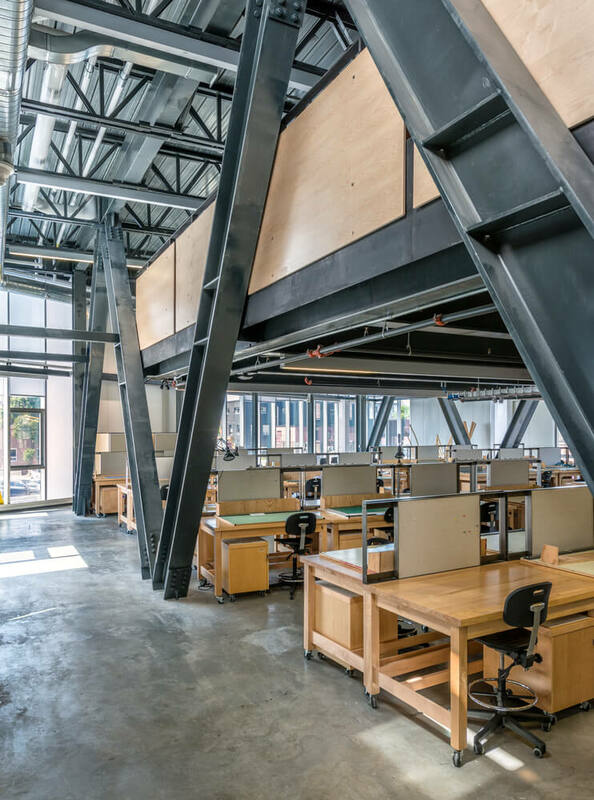 Some architecture schools have recognized that investing in an outstanding building will allow the structure to be a learning tool in itself. 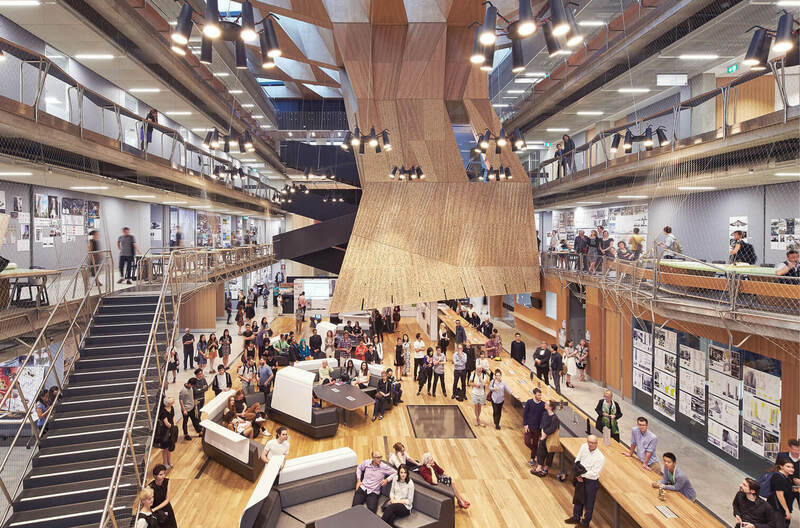 These design schools are an opportunity for students to see first hand how certain materials work together. 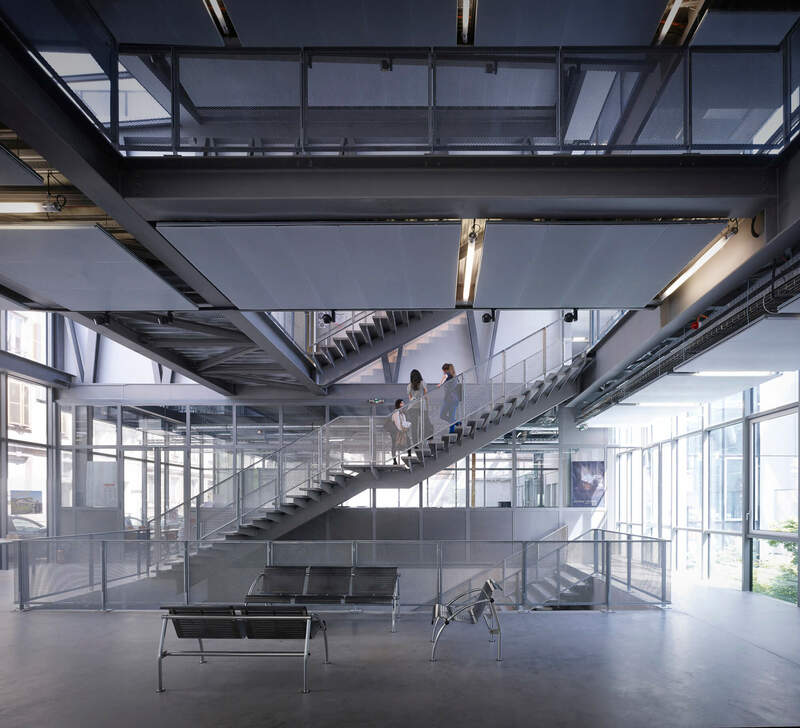 When a student enters the building, they will able to relate their concepts of architecture to the structure of their very own school. It is not easy to make a structure that is aesthetically pleasing but also functional for educational purposes. These structures often require many things, but still must abide by the universities’ building rules and regulations. For an architecture school to be functional, there need to be large rooms for lectures and spaces for digital workshops. 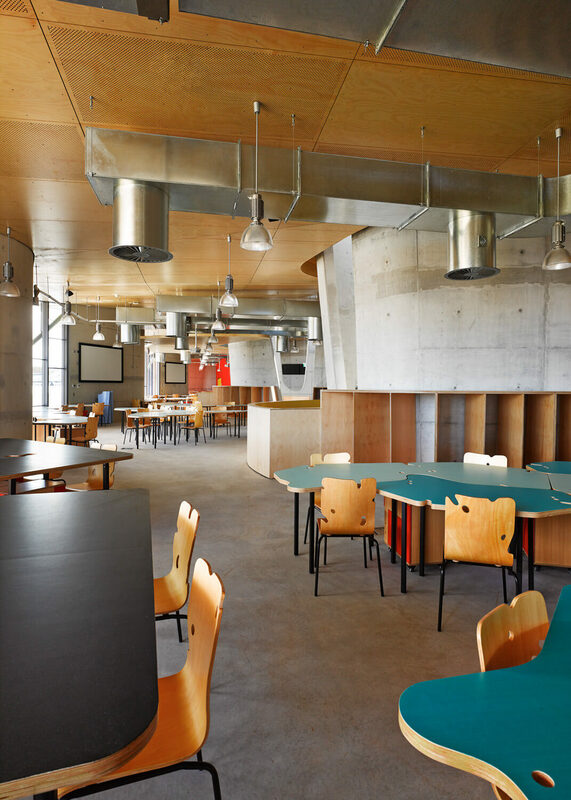 There are four schools that particularly stand out to us for their industrial yet opulent appearance. 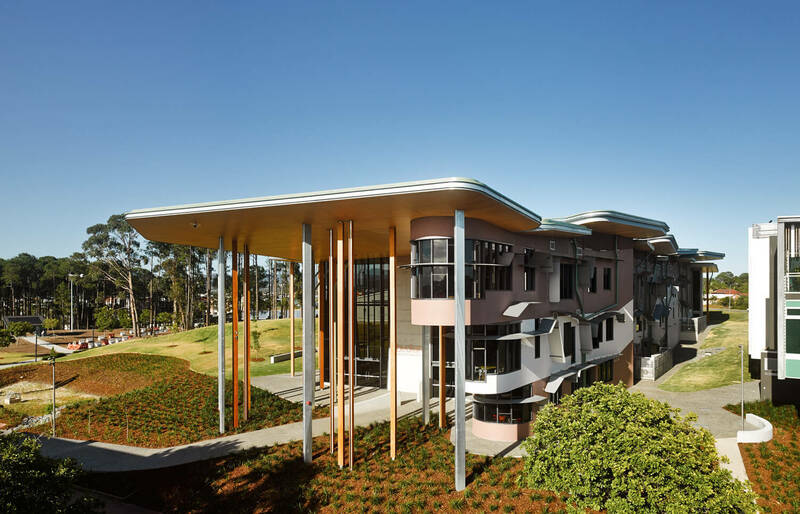 These school buildings provide the perfect educational experience for their students while being an outstanding work of art. 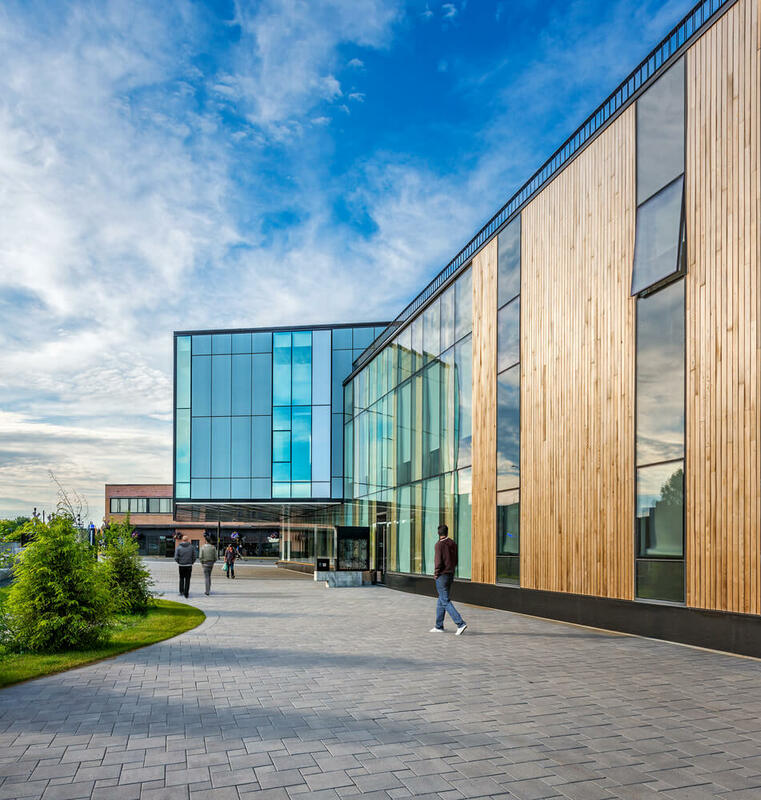 The McEwen School of Architecture is part of Laurentian University in Canada. 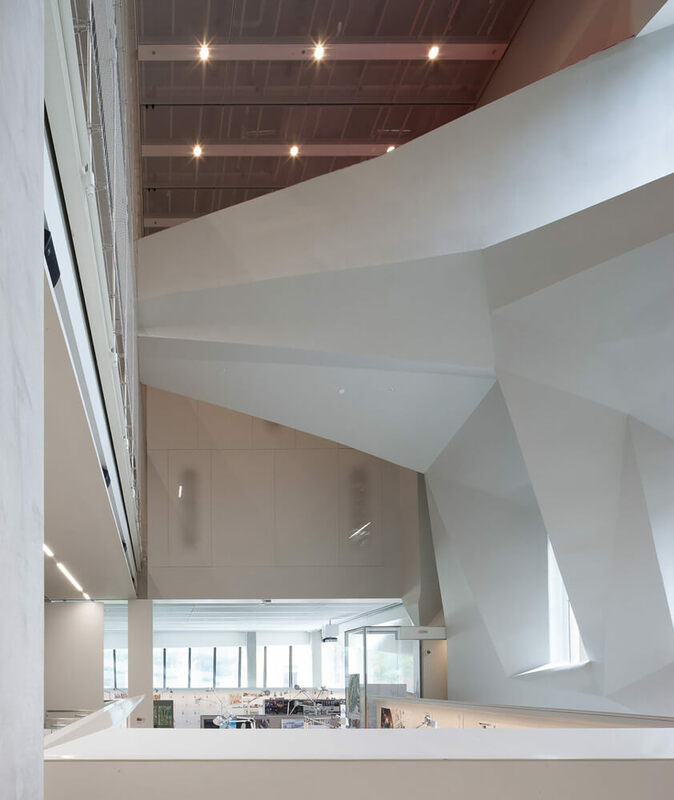 The structure was designed and constructed by LGA Architectural Partners. The project was fully completed this year in 2018. 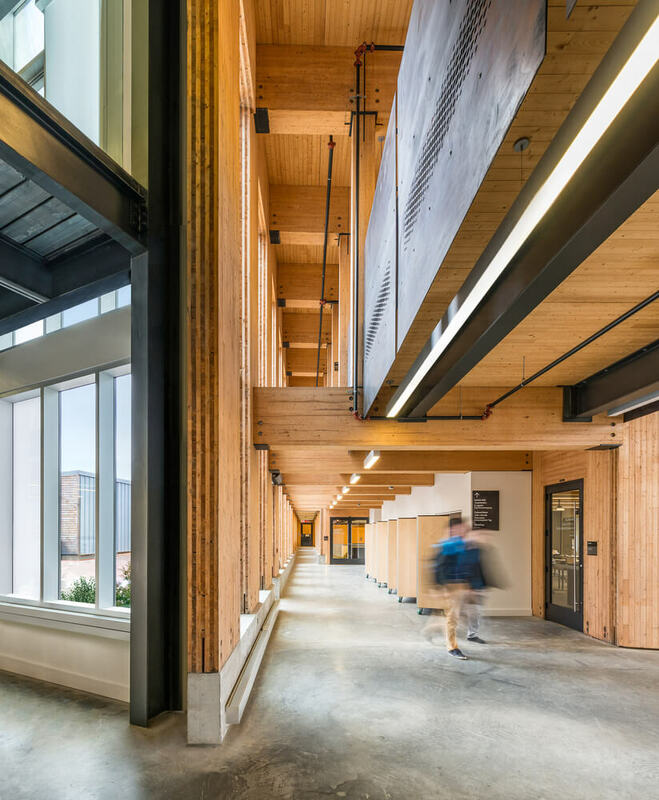 This was the first new architecture school for Canada in over 40 years. 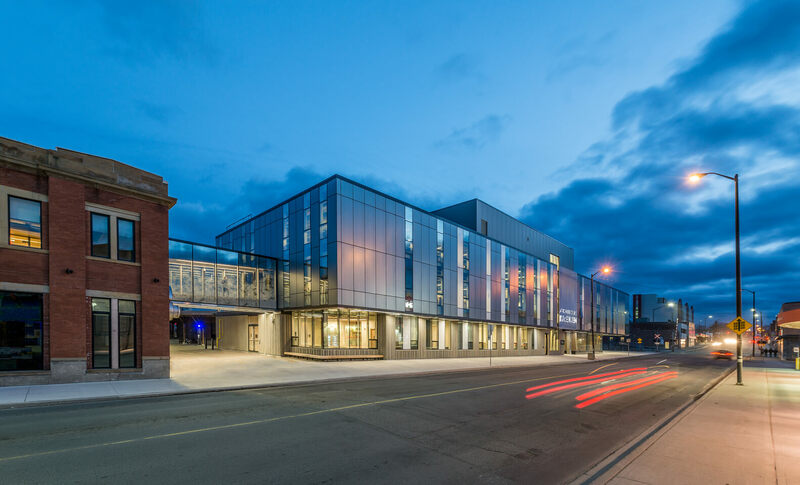 The building stands out beautifully in downtown Sudbury while also contributing well to the community’s city feel. Founding director Terrance Galvin stated that “LGA Architectural Partners designed Laurentian University’s McEwen School of Architecture to prepare young architects for the critical design issues of the 21st Century.” McEwen’s curriculum focuses on designing structures that are environmentally prepared for the future. We love that the wood and glass are so different yet work perfectly together to create an industrial feel. 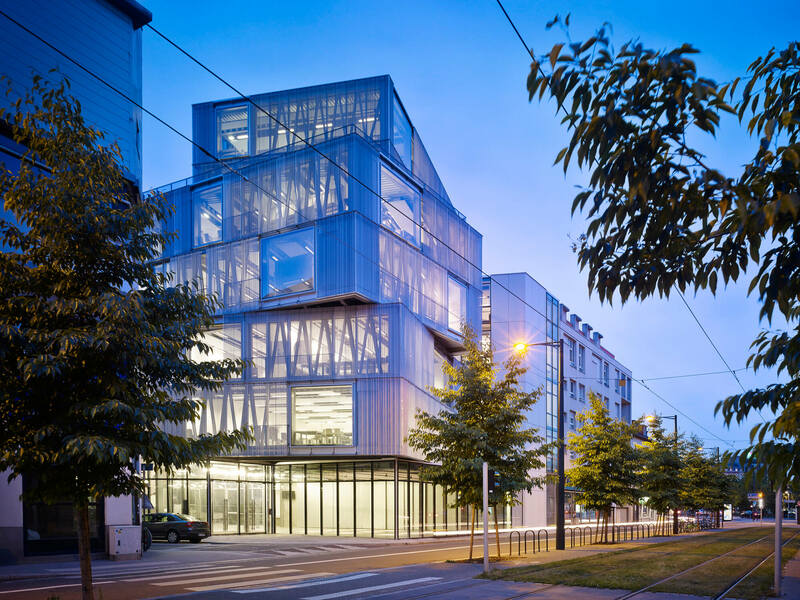 Strasbourg School of Architecture is a critically acclaimed school in France at the Ecole Nationale Supérieure d’Architecture. 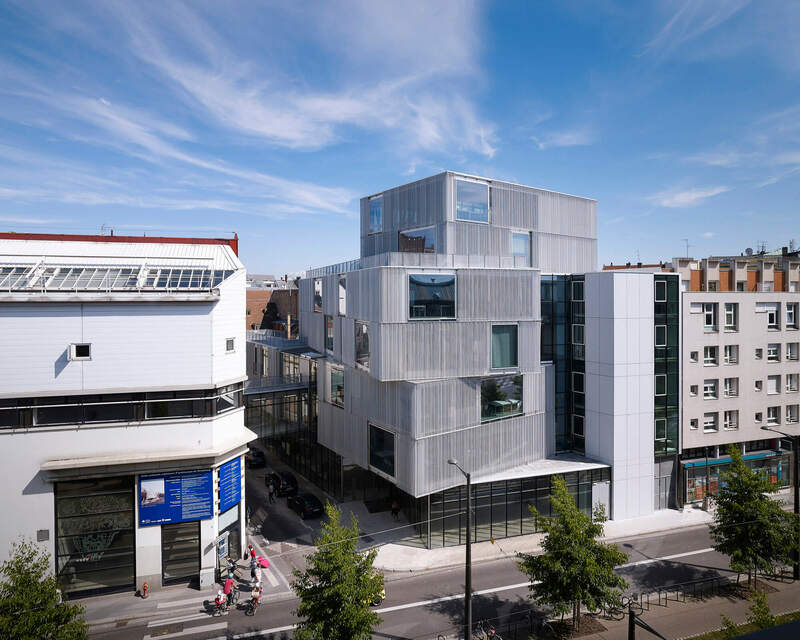 The building, designed by Mark Mimram, has been referred to as “The Factory” because it is covered it appears to be intricate boxes stacked on top of each other and covered with aluminum. 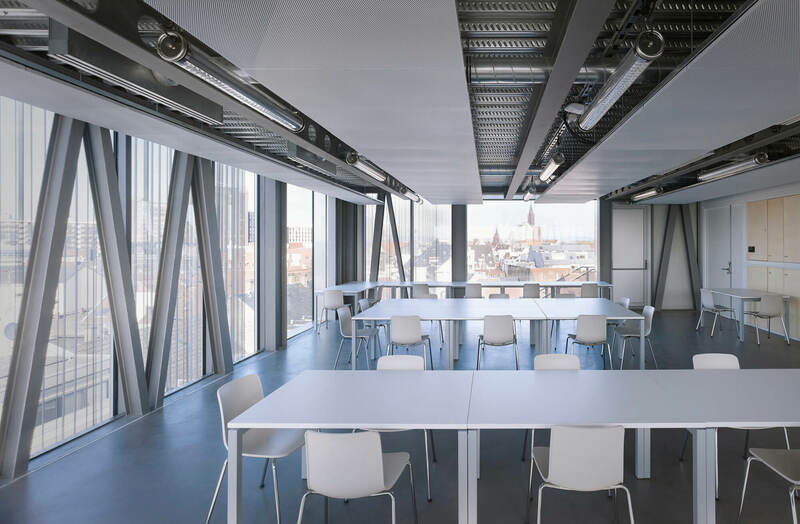 The large windows look out onto the beautiful city of Strasbourg. In response to the industrial engineering and design, Mimram commented that “the relationship between structure and envelope has been the foundation of architectural practice since the Gothic age, and since the nineteenth century this has been beautifully expressed through metal structures.” The metal and box-like structures are equally bold and daring. 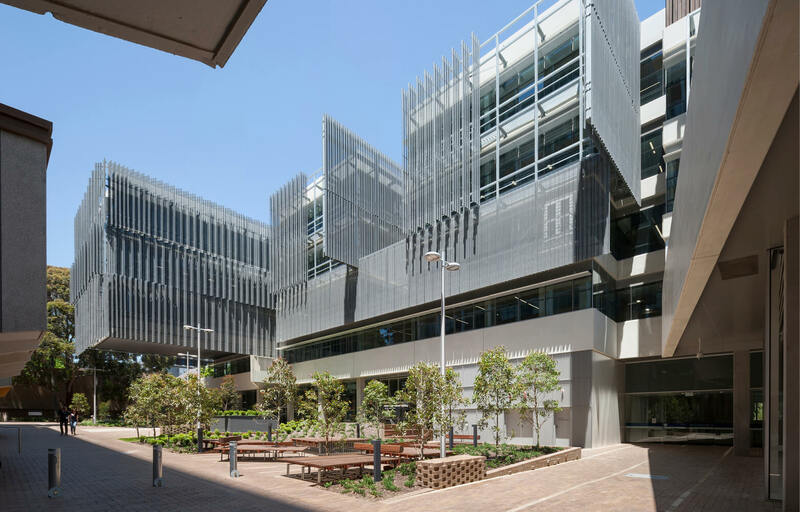 Melbourne’s School of Design in Australia was also completed following an international competition for the project’s design. 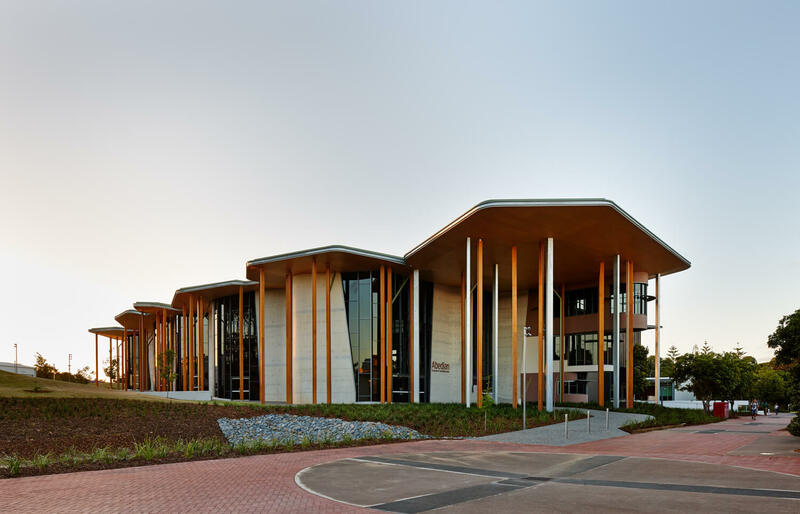 The winners, NADAAA and John Wardle Architects, completed the project in 2014. 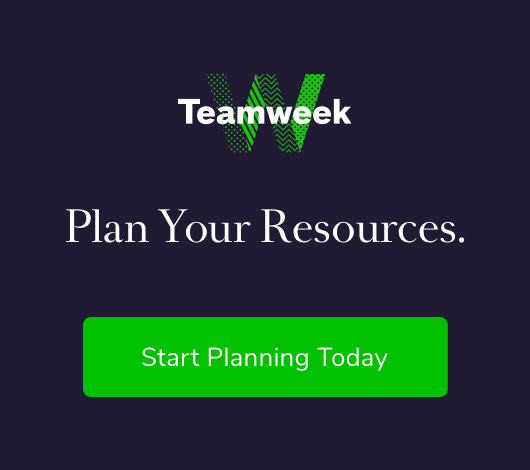 Both partners came to the table with completely different visions. They decided to collaborate using both distinct perspectives and 6 fantastic industrial stories were created. The project took almost 5 years to complete and has earned a 6 green star rating. On John Wardle Architects website, they stated that the “inherent planning, spatial arrangements and configurations, particular programmatic adjacencies and relationships foster a rich, dynamic environment that becomes a point of stimulus, a catalyst for creativity and inventive design research.” We could not agree more, we love the versatile environment both firms were able to create.